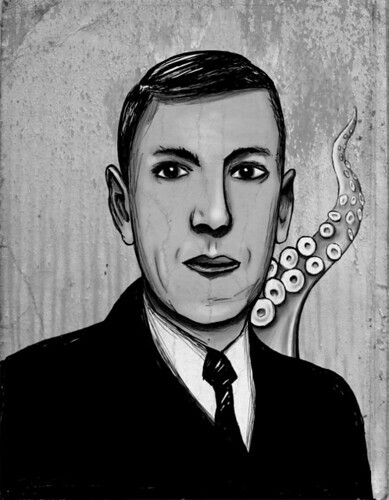 HP Lovecraft and his friend the tentacle. With that, I have posted many celebrity portraits from last month’s Weird Tales. Now, Which one would you guys like to see a process breakdown on? Click through to see them big! This set of images was the first big project that I did on my cintiq tablet, so the process was slightly different. I’m really excited to show you where I’ve come since the last time I did a process breakdown. I’d love to see a breakdown on the Kafka portrait. I’d like to see the Lovecraft breakdown though Kafka would be interesting as well.